My five year old has wanted to travel to space since he was a teeny tot. He loves reading books about space, watching documentaries about celestial bodies and space phenomenon, and going outside to look through his telescope. 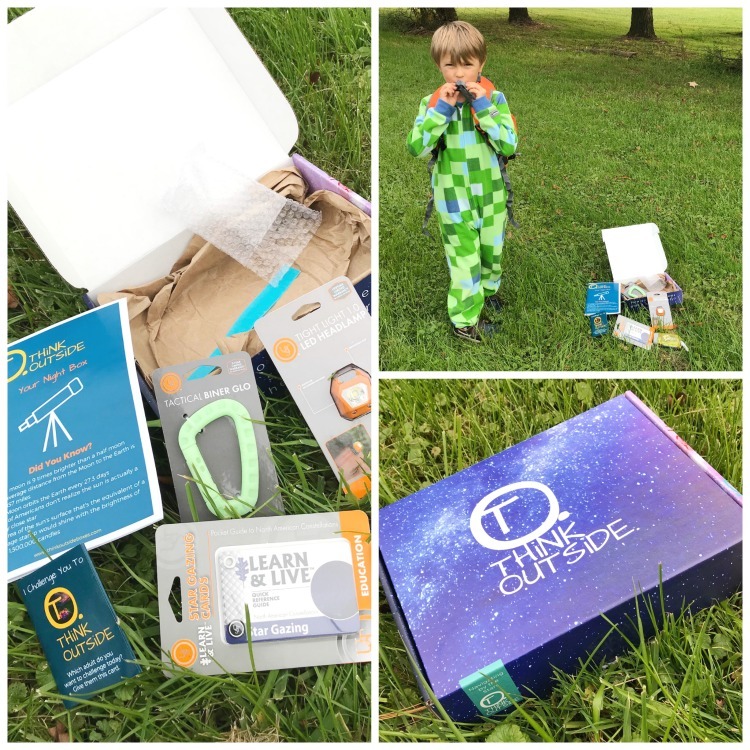 I just adore encouraging his interests, and was super excited to see that the second Think Outside Boxes monthly box was all about getting kids outside after dark. Note: We’re partnering with Think Outside Boxes this year. They’ve provided us with a subscription for each of the kids in exchange for sharing our experiences — opinions are always truthful and ours. We share only what we love. 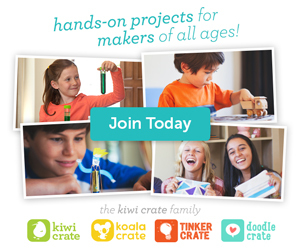 Think Outside Boxes is a monthly subscription that brings families a year-long program to encourage and support adventure and survival skills in kids from about ages 5-14. We’re diving in this year with 5, 9, 11, and 15 year olds, and are having so much fun! 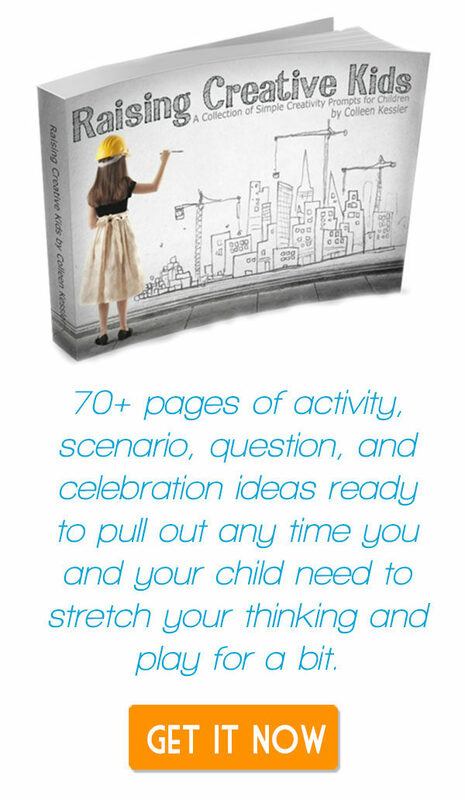 Getting kids outside in the evening takes a little more planning than going on a hike in the middle of a beautiful afternoon, but it’s not only doable, it’s an amazing experience for you and your kiddos. Typically we think of stargazing and night hikes as a springtime activity, but the fall is a beautiful time of the year to head out into the night. In fact, as the nights get colder, there’s less moisture in the air (which can obscure starlight), and there are fewer leaves on the trees to keep you from seeing up. There’s never really a bad time to get yourself and your kids outside, but there are a few things you can do to ensure that they’ll see things that excite them and make them want to go out again. Watch the moon cycles and pick a night when there will be very little light in the sky — when the moon is smaller. Go away from city lights so you have clear views of the skies. If you can, go higher up, too. Higher elevation gives you clearer skies and a wider view. See if you can time your outing up with a meteor shower. 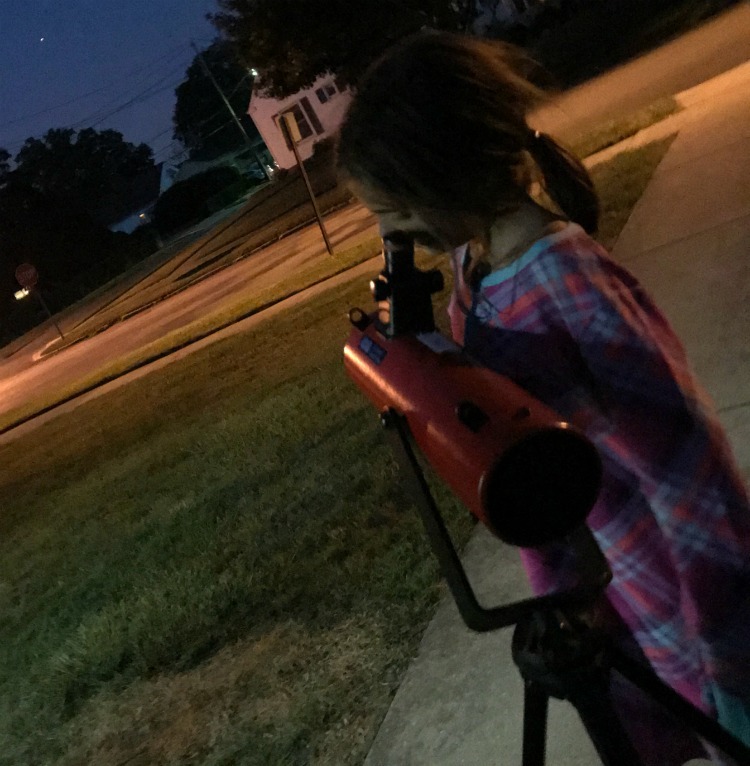 Buy an inexpensive telescope to get your kids interested in looking up. My youngest’s godfather gifted my son one he found at a rummage sale. It’s perfect for kids. Use tools like the cool Star Gazing Cards we got from our Think Outside Box or apps like Star Chart to help you and your kids identify what they’re looking at. 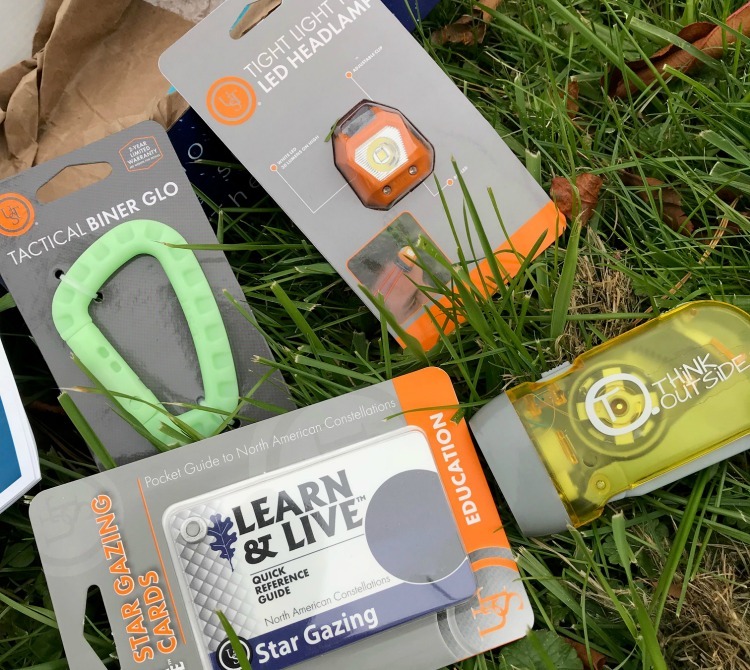 My kids are excited to get outside at night more this fall now that their gear includes the accessories they received in thier “Navigating By The Stars” box this month. Inside the box was the full color activity book that included trivia, information about moons, planets, stars, and constellations, navigation using stars, how to use the equipment (flashlights and carabiners), light pollution, nocturnal animals, and the empathy section (my favorite) was all about being blind and how that would affect you. 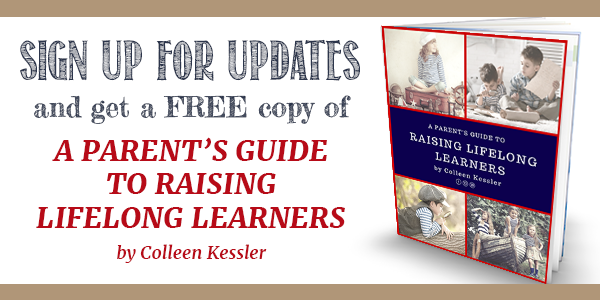 Before your kiddos even get outside, it’s up to you to help them look forward to it. We love watching (and singing along to) Kids Learning Tube. The kids have learned a lot froom the simple and repetitive melody of their songs — especially the ones about space. You can also practice your morse code with the kids using the lights of their flaslights. Do you remember that from the first box? 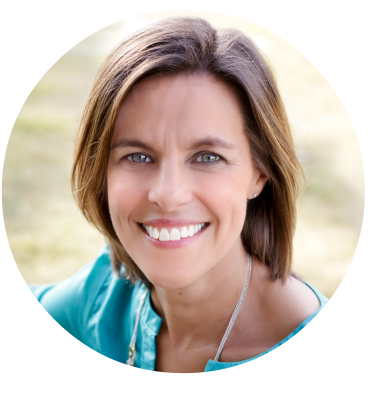 There are so many fun things to discover outside at night and so many discussions that can be prompted from a simple walk in the dark, that I think everyone should try it with their kids. 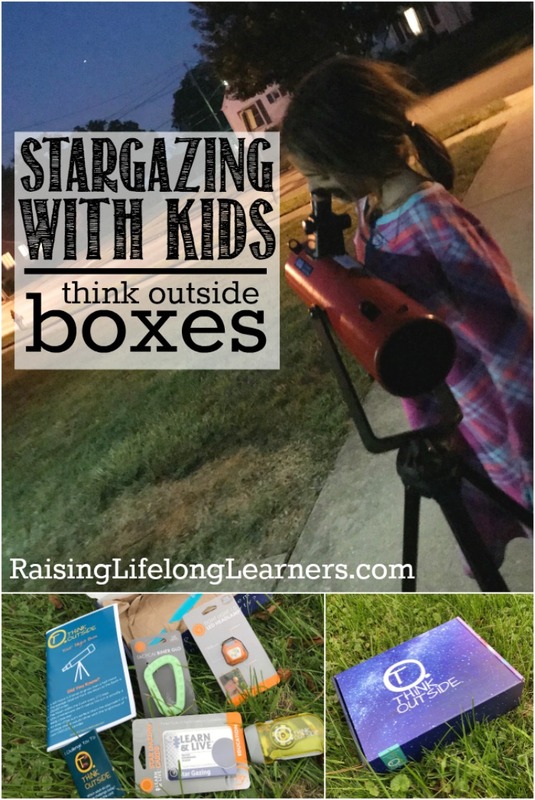 Remember, too, that Think Outside Boxes offers readers $10 off their first box when you use the code RLL10, so if you want a kickstart to getting your kiddos outside — in both the daylight and the night — then head over and check it out.